A group of biologists recently found that pumpkin toadlets, which were native to southeastern Brazil, as the first known frogs to have glowing bony plates through their skin when it is illuminated with an ultraviolet light. At first, the group realized that the toadlets had no middle ear bone, which was what frogs use to communicate with others. Without that, the tiny, toxic frogs could not hear each other’s high-pitched chirps, which was how most frog attract possible mates. “We scratched our heads about how they could communicate by other means,” Sandra Goutte, an evolutionary biologist at New York University Abu Dhabi in the United Arab Emirates, told ScienceNews. 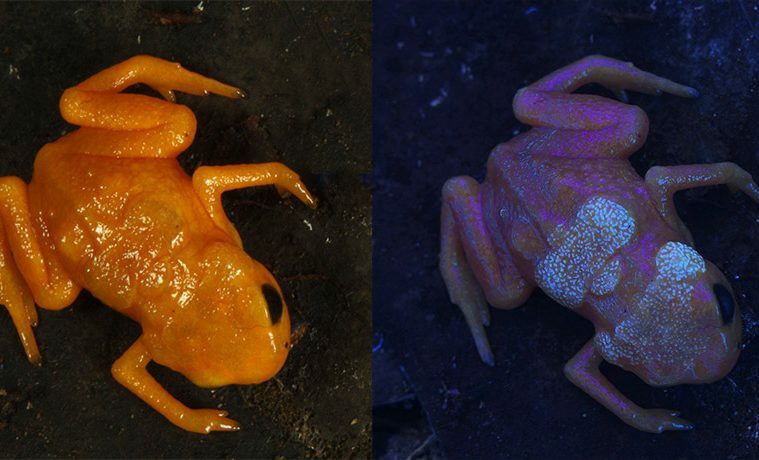 This led biologists to use ultraviolet light to see whether these frogs are like some parrots, who attract mates with feathers. The researchers used a UV lamp and saw the frog’s skin illuminate with a blue pattern glowing on its back. “I couldn’t stop smiling for the whole day,” Goutte said. 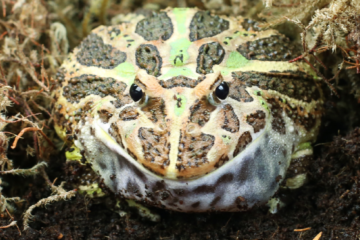 The report has been published online in Scientific Reports, which marks the findings as the first known case of amphibians showing bone fluorescence, since chameleons are the only terrestrial vertebrates known to have this same trait. Researchers of the study suggest that illuminating bones is a frog’s way to communicate with others and attract possible mates, but it could also be used to warn predators.